Goviral evaluates the latest viral campaign from Foot Locker, with "ones to watch" from Samsung, One Life and Boots. Foot Locker’s latest video uses an easy formula for a successful viral ad. It features ‘staff’ doing tricks with shoes and shoe boxes in one of the chain’s stores. The whole video was done in one take and is shot to look like as if it was filmed with a phone camera. 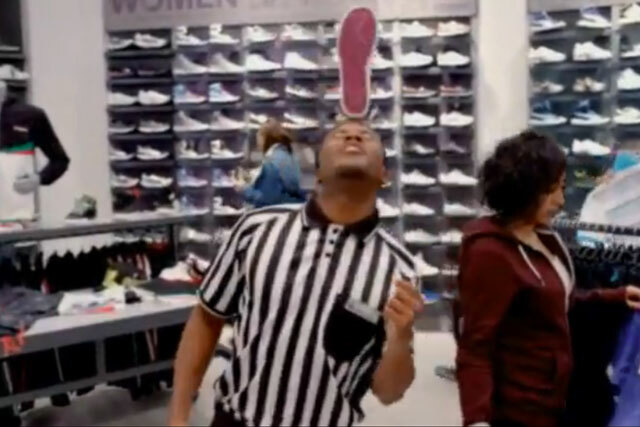 Juggling with shoeboxes is not the only trick Foot Locker pulled from up its sleeve. The video itself deploys a trick increasing in popularity among advertisers, by creating content that causes a discussion about its authenticity. This, of course, means more publicity for the brand. Its length is another plus. At just 30 seconds, by the time the viewer has a chance to take in everything that happens on the screen, it’s over. The content is layered and encourages the user to watch more than once. There is no time to overwhelm the audience. It has all the components that should entertain and create brand awareness for young, sporty people – Foot Locker’s target consumers. Samsung uses its Olympic Games ambassador David Beckham to demonstrate the capabilities of its Galaxy Note and S Pen. Dance music DJ Brandon Block smashes up vinyl to raise awareness of a record-breaking attempt for the longest DJ relay. Created by MRM Meteorite, it aims to raise funds for the young peoples’ charity One Life. Boots continues its ‘17 make-up songs’ campaign, which features new bands and solo artists creating music and videos that are heavily associated with make-up used by teenagers.